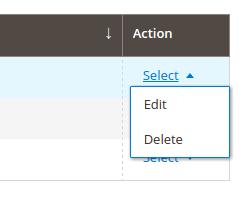 You can choose, filters, sort and columns to display, and save the current view with this button. At this moment, we have got the button, but the view creation does not work. So we will modify the XML. We will also add checkboxes on every lines of our grid. 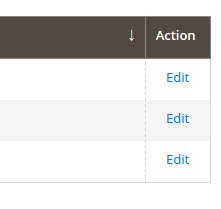 Now you can change the columns to display, and save the view with the name you want. With the checkboxes, we will add mass actions on the next lessons. For example “Delete all selected lines”. We can do a lot of things with grids ! Next part : filters ! TRUNCATEui_bookmark; in scope of your MYSQL db.